Our workflow management software allows you to streamline your task management process, move tasks through stages and get better visibility across tasks. 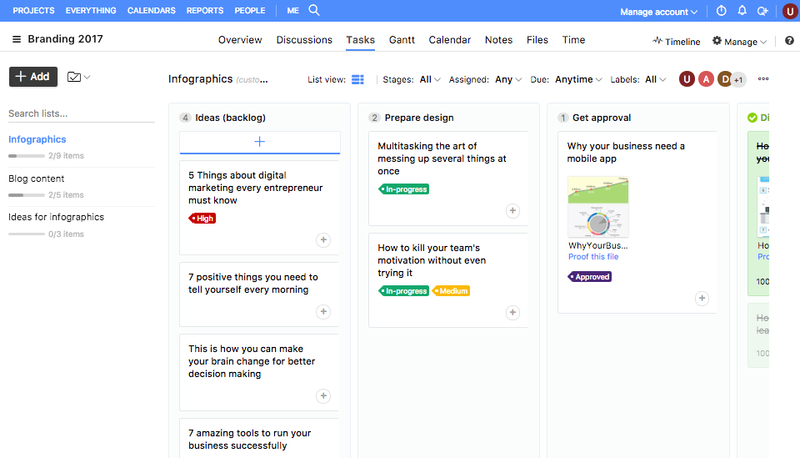 Workflows and kanban boards in ProofHub make your task management processes simplified by letting you define a custom workflow for the team, which you can improve to bring more flexibility in your work. With our workflow management software you get the option to integrate a workflow with every task list, which helps to determine progress made on each and every task easily. Apart from the Basic (To do - Done) and Kanban workflow in our kanban tool, you also get the option to create custom workflows, in which you can define stages, and make your work processes more flexible. You can choose to view tasks in either of the two forms i.e. list view or board view in our workflow management software. So, you can manage your tasks, and your work schedule the way you want to. 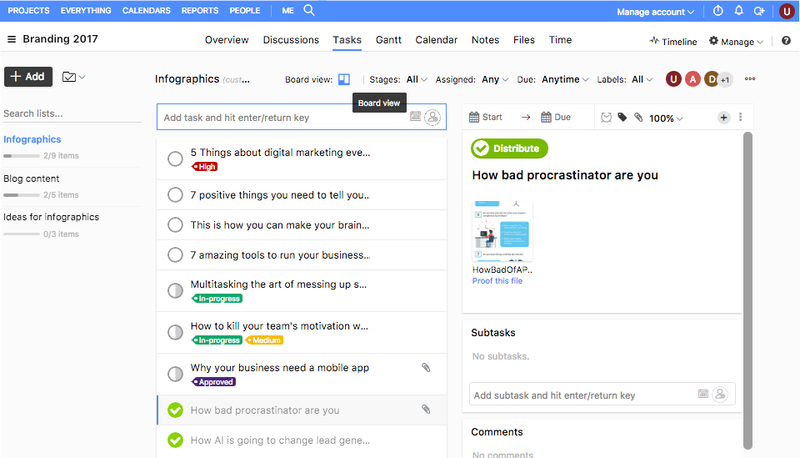 With Workflows and boards in ProofHub you can move tasks between different stages, to streamline your work processes, bring clarity in the way tasks progress and make team members more accountable for their work. To make task management easy for teams, our workflow management software gives you the option to add labels to the tasks, attach files on them and also track time using timer, as well as make manual time entries. That’s how our workflow management software can help you improve your work processes! With ProofHub managing tasks for my team has become fairly easy. I have people working both in-house and remotely. Before this workflow management tool, I used emails to allocate work, which was pretty tedious. But, thanks to ProofHub I can distribute tasks in a breeze. It’s been a wonderful investment. — W. Rayleigh, JDP Pvt. Ltd.